Special offersThere are 8 products. A high-quality sunbed, with wooden support and suspended net. Original garden furniture for memorable relaxing moments in your garden or on your terrace. 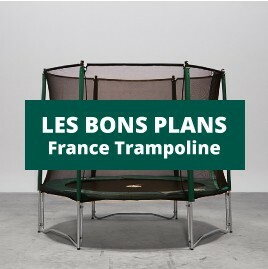 A 2.50 m frame pad for your garden trampoline. Thick frame pad for octagonal 360 trampoline. Cleanliness cover for oval 4.30 m trampolines.